Once Upon a Time offers unique baby products from its 2 locations in Birmingham, AL: Mountain Brook and Homewood, AL. 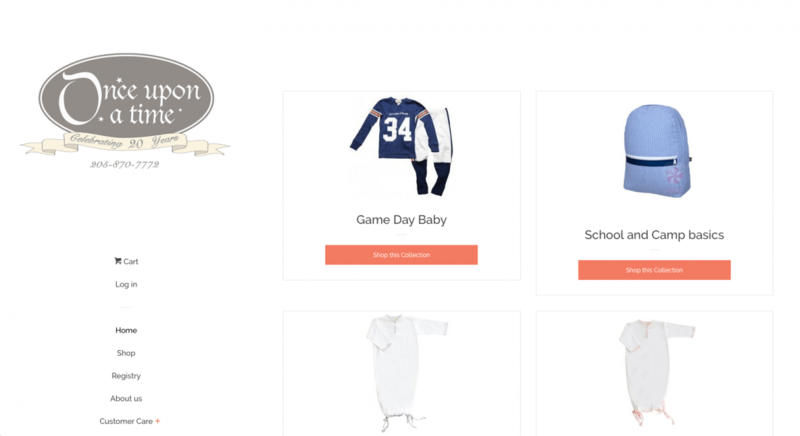 They make shopping for baby convenient, fun and easy with an extensive Baby Registry, exceptional product selection, and extraordinary customer service. Once Upon a Time required an eCommerce solution to market their dynamic inventory to their clients. Their new website allows customers to easily browse and purchase products from the convenience of their homes.